Trees have a tendency to accumulate around my garden, many of them unsightly sticks in pots at this time year. Conifers are a welcome exception, their life affirming greenery the reason so many northerners decorate homes with Christmas trees. The downside of this tradition is the piles of dead trees which litter the streets in January. 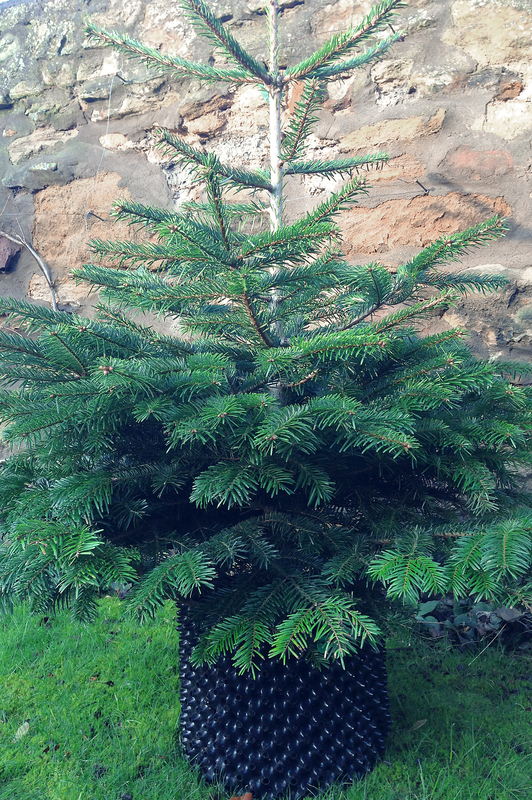 To avoid adding to this waste I bought a pot grown tree which should serve to cheer our festivities for several years. Potted conifers can just about survive in a traditional pot for a few years but the lower branches tend to lose needles. Air-Pot grown trees suffer less and do better for longer, so I put my Noble Fir into a large Air-Pot container. Luckily the rootball was not too severely deformed by its confined upbringing, just a bit of spiralling of the roots which were teased out before repotting. 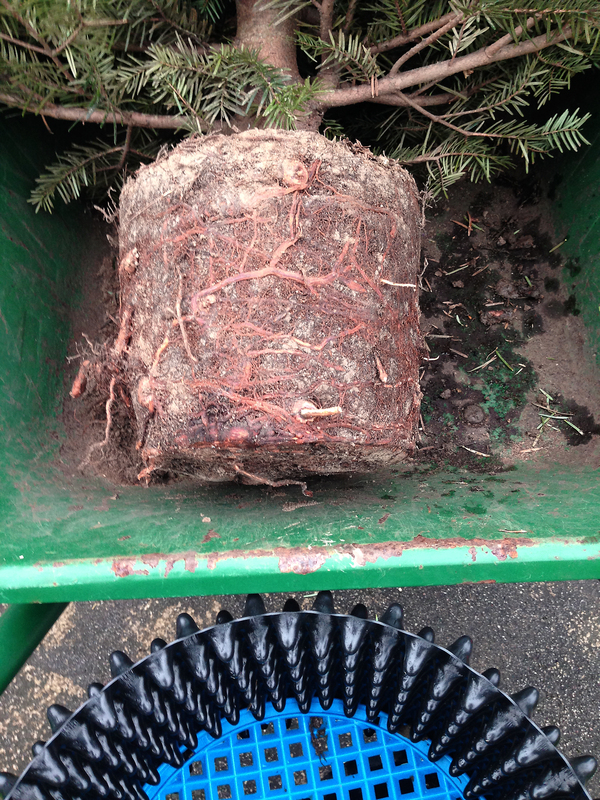 In the Air-Pot the roots will be air-pruned as they fill the container developing into a very dense fibrous mass. Increased amounts of water and nutrients drawn up by the fine roots should support optimum top growth. The original Air-Pot was designed primarily for tree nurseries. Air-Pot grown trees grow fast and can be kept in the pot in good condition for longer and When they are eventually planted out they establish quicker with fewer losses. So I have high hopes that my tree will become an old friend through many Christmases to come.